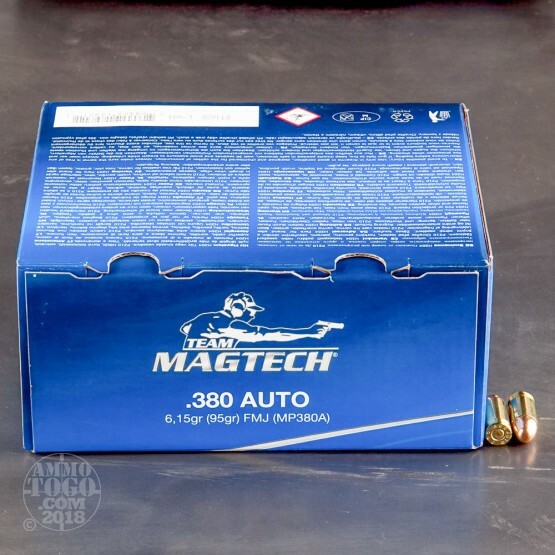 Magtech has been manufacturing high quality ammunition for more than 90 years. Because Magtech also produces their own ammo components, they retain full control over every stage of the manufacturing process. Only the best raw materials available combined with cutting edge manufacturing techniques are used to produce the consistency and performance that have made Magtech an internationally recognized name. 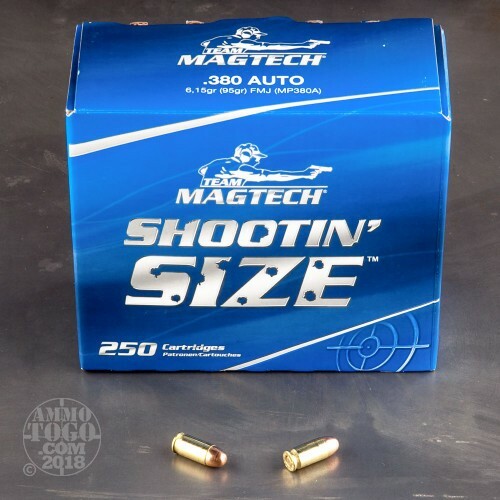 This value pack from Magtech is perfect for the high-volume or budget-conscious shooter. 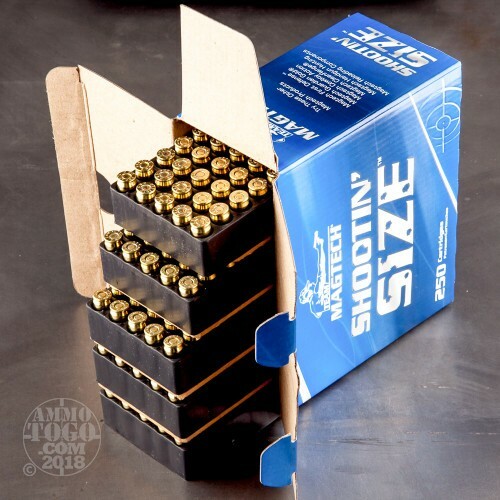 With 250 rounds of high-quality .380 Auto (ACP) ammunition, you can spend plenty of time on the range. 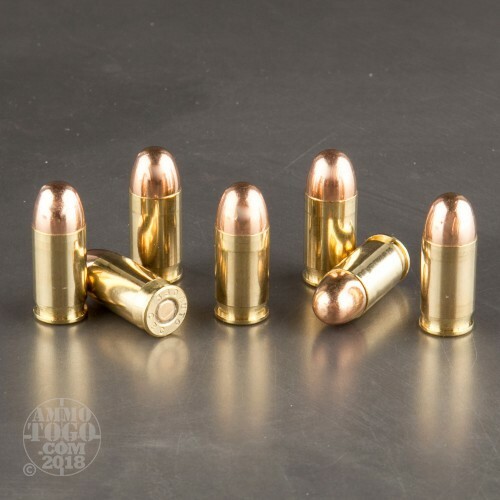 Best suited for target shooting, tactical practice, or recreational plinking, each new production cartridge features a 95 grain full metal jacket (FMJ) projectile. Offering clean shooting and minimal terminal expansion, each FMJ bullet leaves the muzzle at a velocity of 951 feet per second with 191 foot pounds of energy. These non-corrosive rounds feature reloadable brass case and reliable boxer primers. All Magtech ammo passes a meticulous quality control inspection before being released to the consumer, ensuring consistent, reliable shooting.